Publicly Traded FRLF Will be Introducing New Hemp CBD Products From Its Wholly-Owned Subsidiaries: Hempology, Leafceuticals, and Irie CBDLas Vegas, Nov. 08, 2018 (GLOBE NEWSWIRE) — via NEWMEDIAWIRE — Freedom Leaf Inc. (OTCQB: FRLF) announced today that it will be debuting its new corporate branding structure, centered around providing natural, full-spectrum hemp CBD health and wellness products to a growing global marketplace. 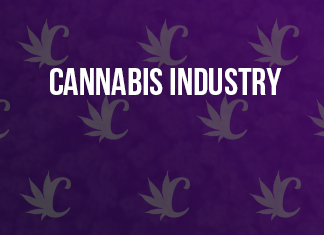 The Company intends to exhibit our corporate pivot towards health-focused, pharmaceutical-grade hemp products to tens of thousands of potential buyers and investors at MjBizCon 2018, November 14th to 16th.The Marijuana Business Conference, hosted each November in Las Vegas by Marijuana Business Daily, is the largest business-focused cannabis conference in North America. Freedom Leaf Inc. will be utilizing this opportunity to launch our health and wellness portfolio and branding initiative, pushing Freedom Leaf Inc. to the forefront of the professional hemp and cannabis industries. Clifford J Perry, CEO states: “Our ability to expand into a Hemp Health and Wellness Organization has been enhanced substantially by both the investment and ongoing advice of Merida Capital Partners, the leading Cannabis Industry Institutional Investment Company.”All of the Freedom Leaf Inc. portfolio brands will be on full display in MjBizCon booth #1869, including Hempology, Leafceuticals, Irie CBD, and shared alongside premium vaporizer line Accuvape as well as Plants to Paper. Each of FRLF’s premium brands will be presenting new and exciting products for the hemp and cannabis markets, including: Calming Cat and Horse CBD Treats from Hempology, Bio-Alive CBD Water from Irie CBD, and Accuvape will be introducing its brand-new Dragon X vaporizer.Each brand represented in the new Freedom Leaf Inc. 20 x 20 island booth will feature full-color graphic wall panels, upgraded lead capture systems, promotional product videos on LED displays, and digital order processing on iPad tablets for maximum effectiveness at generating bulk orders to wholesale distributors from all over the world and marketing email lists at the show. Every professional in the hemp and cannabis industry is invited to see what is new and exciting from Freedom Leaf’s portfolio at MjBizCon Booth #1869, from November 14th to 16th.About Freedom LeafFreedom Leaf Inc. (OTCQB: FRLF) is a group of diversified, international, vertically-integrated hemp businesses concentrating on health, wellness, and education as well as cannabis media companies. Freedom Leaf, Inc. has been a leading go-to resource in the cannabis, medical marijuana and industrial hemp industries since 2014, founded by professionals with decades of combined experience in marijuana legalization advocacy. FRLF is building a diverse portfolio of valuable businesses through strategic mergers, acquisitions, and acceleration projects across the industry.Freedom Leaf, Inc. does not handle, grow, sell, or dispense marijuana or related products.All of our European activities are in full compliance with relevant EU laws.Investor relations information can be found on the FreedomLeafInc.com company website.Safe Harbor StatementStatements in this press release that are not strictly historical are “forward-looking” statements within the meaning of Section 27A of the Securities Act of 1933, as amended and Section 21E of the Securities Exchange Act of 1934, as amended. These forward-looking statements generally can be identified by phrases such as Freedom Leaf, Inc. or its management “believes,” “expects,” “anticipates,” “foresees,” “forecasts,” “estimates” or other words or phrases of similar import. Similarly, statements herein that describe the Company’s business strategy, outlook, objectives, plans, intentions or goals also are forward-looking statements. All such forward-looking statements are subject to certain risks and uncertainties that could cause actual results to differ materially from those in forward-looking statements. Factors that could cause or contribute to differences include the uncertainty regarding viability and market acceptance of the Company’s products and services, changes in relationships with third parties, and other factors described in the Company’s most recent periodic filings with the Securities and Exchange Commission, including its Annual Report on Form 10-K dated June 30, 2016 and quarterly reports on Form 10-Q.